The technical term for this is Direct Segmental Multi-frequency Bioelectrical Impedance Analysis (DSM-BIA). It separately measures the impedance (resistance to alternating electric currents) of the trunk, arms, and legs of our body. This new measurement concept measures the resistance of the cross point of two flows and takes the resistance values of the arms, legs and the body trunk. The scan result sheets tells you an abundance of information all about YOU. 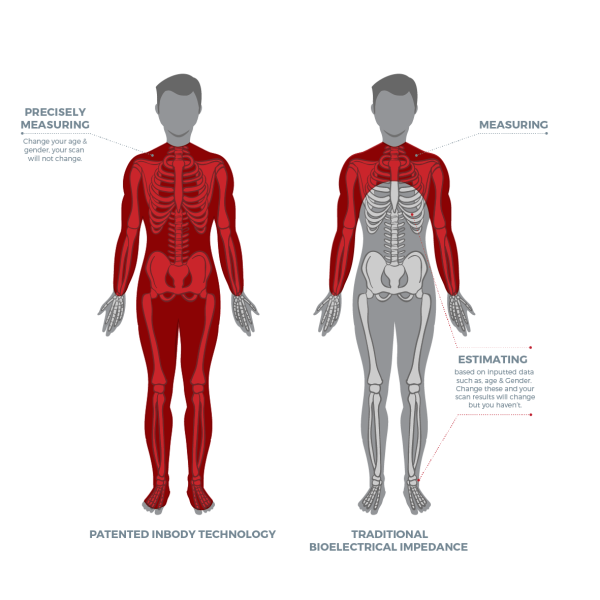 InBody’s patented technology is unique as it scans you for you, it does not use any assumptions in its assessment but provides results which are extremely precise and as unique as the person standing on them. InBody does not use inputted age or gender, unlike other devices. Age and gender are therefore used as averages in a scan and will substantially affect the outcomes. Many devices may even ask for ethnicity and body types as well. We ask for age and gender simply as a means of providing guidelines (these are found generally in a bracket format, next to your actual results) to allow you to compare your results against a broad spectrum average. Simply put, change your age and gender on an InBody device and your results will not change as you have not changed. The non-use of any assumptions is what sets InBody’s technology apart and is one of the underpinning reasons as why InBody is used in extensive studies, used by top sports people, medical intuitions, NASA and utilised in over 70 countries worldwide. This is a brilliant tool to prove the preciseness of any device as changing age and gender, your scan should not change – if it does, it shows they are utilising assumptions not actual individual assessments. 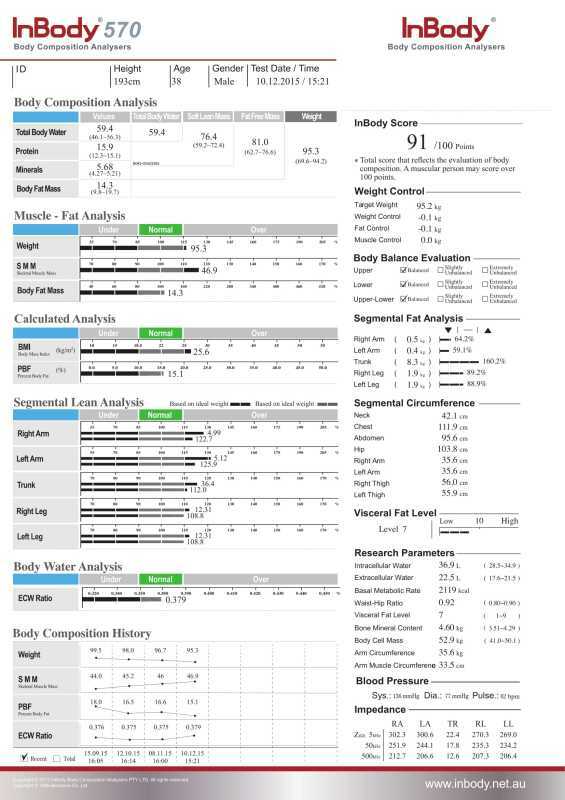 InBody is the only device that does not use inputted data, the results speak for themselves.